Buying a car takes patience, research and a little help along the way! 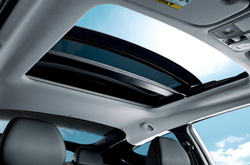 That's why Vandergriff Hyundai provides a review of the 2013 Veloster. Don't stress out over your next purchase; look to the chief Hyundai franchise in Fort Worth for thoroughly researched reviews written by industry specialists. This article will tell you exactly what you're looking for. 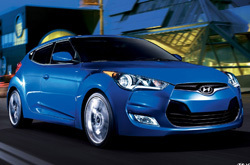 As your Fort Worth Hyundai franchise, you can be sure of on us for reliable information on the 2013 Hyundai Veloster. Is the 2013 Veloster right for your family? Continue reading and find out! Compare the 2013 Hyundai Veloster against vehicles like the 2013 Mitsubishi Lancer Sportback, Mini Cooper S, Volkswagen GTI, Volkswagen Scirocco and the Scion tC, and you'll see that the Veloster outperforms the competition in many areas. Pay attention to our Quick List below to find out why! Take a peek inside the 2013 Veloster - view video now! Get trustworthy factory parts and superb workmanship from Hyundai technicians at a facility that's just a small commute from home. At our Hyundai auto repair center in Fort Worth, we offer this and a 12-month long warranty on all jobs! Our Hyundai auto service division in Fort Worth is home to manufacturer-trained repair buffs, so drive your Veloster over for valuable service. We can call the shots on a straightforward task as an oil change, or deliver quality difficult Hyundai Veloster service and repairs like strut and shock repairs, timing belt replacements and Veloster transmission rebuilds. It's simple as 123: If you want buffs service and low-cost repair prices in Fort Worth, make Vandergriff Hyundai your first stop for Hyundai vehicle maintenance. To find unbelievable service coupons, click the link underneath this sentence right this instant!